Take the Northbound trip to Sweden’s geographical centre and the north. You have spent some days in the south of Sweden, you want to head north. Fill the kilometers with great outdoor adventures and meet local people who will take you along to their favorite spots, fishing waters, hikes and cultural events. Travel through regions and counties such as Dalsland, Dalarna, Jämtland, Härjedalen, Västmanland, Medelpad and many more. If you want to go northbound towards the Baltic Sea coast continue towards Nedre Dalälven, about 150 km via the E4. Nedre Dalälven – River landscape. If you travel with children stop at Trolskaskogen (the magic forest). If you want to go more to the centre of Sweden- Go to Bergslagen a lot of great outdoors. Continue bit further to the west and make a stop in the beautiful region of Värmland. Värmland has plenty to offer for your nature trip, the big Lake Vänern, the River Klarälven and the nature reserve Glasskogen. Further to the north make a visit to Dalarna. 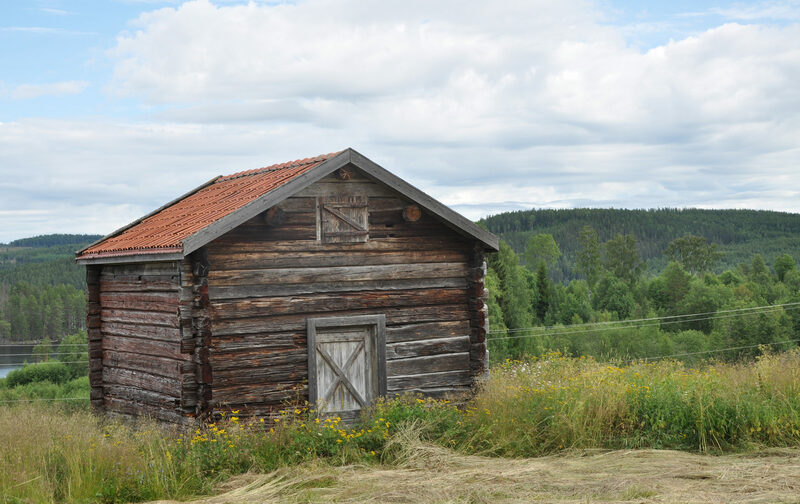 Explore the Lake Siljan region , trek to summer Grazing farms in Dalarna – Ärteråsen, a piece of Swedish farm history. The circle around Lake Siljan (Siljansringen) is a hike through the history of beautiful landscapes with a high geological value. The 2,5 km-diameter meteorite hit earth at 100,000 km/h speed and formed a huge crater in the ground. The nature reserve Styggforsen is a destination within the “Siljansringen”. The beautiful nature makes it perfect for trekking. From Dalarna you can go northwards towards the Norwegian border to Idre. A unique experience is the resorts Renbiten. A unique opportunity to get to know the Sami culture. You are also close to the county of Härjedalen and the county of Medelpad, with stunning nature and animal life. Sonfjället National Park: The great mountain Sonfjället is a beautiful place in the centre of the province Härjedalen. The National Park is an almost unspoiled retreat for bear, lynx and moose. It is also an area of ​​rare and well-preserved geological shapes, eroded by water from the melting ices during the ice age. Visit and park at Fäbodvallen Nyvallen. 10 miles south of Sonfjället in the small town of Lillhärdal there are great opportunities for fishing in mountain streams. Especially beautiful is to paddle the canoe a summer night in Härjeån. In the night sun you can see the beavers, who are night-active animals, swim around in the beaver delta “Sexan”. At the end of July and early August you can pick hjorton, lingon and blueberries. Park at Lillhärdals camping. Continue north to Ånge to meet up with locals in the area around Ånge, Bräcke and Sundsvall. Travel along the E14, to take the so called Ljungandalsvägen.See map for the trip.